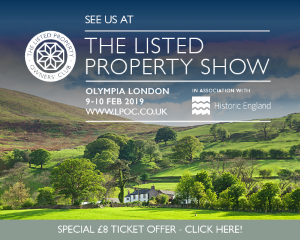 The IHBC has continued its CPD partnering with the Listed Property Owners Club (LPOC) into 2019 with free places for members and an IHBC stand on offer at the London Listed Property Show, on 9-10 February in the Olympia, as well as free CPD sessions from IHBC President David McDonald and Research Consultant Bob Kindred. 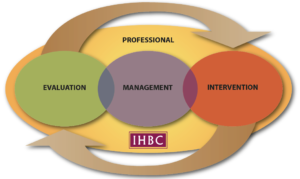 IHBC Members wanting to attend the Show and/or IHBC CPD programme should email events@lpoc.co.uk giving their name, company, job role, postal address, email and phone number and IHBC Membership Number. In 2019 we hope to build on our successful partnership with the LPOC and its members as we help offer our usual high quality free CPD to all practitioners, as well as guidance to ensure that their clients look after their properties as best and as sensibly as they possible can’. 11-12pm: Bob Kindred, Consultant and IHBC Research Consultant, ‘Dealing with Listed Buildings at Risk’.